Four people were reported dead in Abeokuta, the Ogun State capital, within 24-hours, after taking consuming local gin “ogogoro”. Tribune Online gathered that the incident happened at Ibara Government Reserved Area. The seller, who was arrested by a team of Policemen attached to the Ibara Divisional Police Headquarters, said only three people died and gave their names as Baba Imeko, Easy and Onwenue. They were said to have been patronising the man for years before the unfortunate happened. However, it was learnt that three people died on Monday while another victim died overnight. All were said to have died in their various houses. Information had it that Mr Taloju had been in the business for over 20 years and upon interrogation by journalists, he claimed to be at loss over the sudden deaths of his customers. 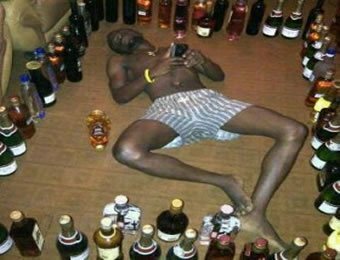 The acting Police Public Relations Officer, Abimbola Oyeyemi, said he could not confirm the number of casualties, since the seller, upon arrest, was heavily drunk.